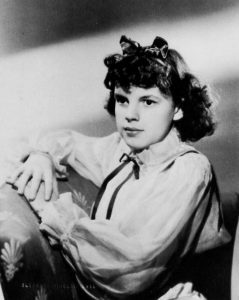 Radio Spirits » Blog Archive » Happy Birthday, Judy Garland! Posted on June 10, 2018, 8:00 am, by Ivan G. Shreve, Jr., under Birthday, Classic movies, Classic television, Radio comedy, Radio drama, Radio variety. 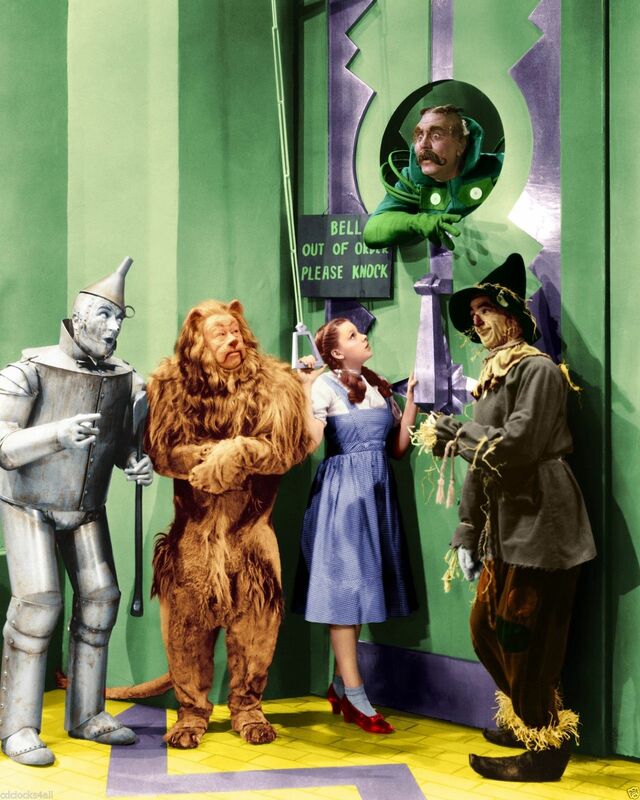 For generations both old and new, Judy Garland—born Frances Ethel Gumm in Grand Rapids, Minnesota on this date in 1922—will be forever known as Dorothy Gale, the young Kansas girl who gets an opportunity to travel “Over the Rainbow” from her little farm in the Sunflower State to the “Emerald City” in the 1939 movie classic The Wizard of Oz. 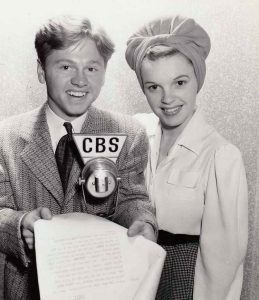 An accomplishment like this might have been the career highpoint for any other performer…but Judy possessed far too much talent and versatility to rest on those laurels. Garland was frequently listed among the Top Ten box office movie draws during the 1940s, and conquered radio, television, recordings, and the concert stage. It should come as no surprise that in a career that netted Judy an Oscar (a special juvenile trophy), a Tony (in 1952), a Golden Globe (the Cecil B. DeMille Award in 1962), and a Grammy, the American Film Institute named Judy among their ten greatest female stars from classic American cinema in 1999. Judy Garland was a show business veteran at the age of two-and-a-half. It sounds facetious, but it’s true. She began performing with her sisters Mary Jane (nicknamed “Suzy” or “Suzanne”) and Dorothy Virginia (“Jimmie”) as “The Gumm Sisters” on stage in Minnesota…because father Francis managed a movie theatre that featured vaudeville acts. The family would later relocate to Lancaster, California in 1926, and while the Gumm sisters were enrolled in dance school (in 1928), they became members of the Meglin Kiddies dance troupe (Ethel Meglin operated the school). The sisters’ connection with the Meglin Kiddies would lead to their motion picture debut in the 1929 short The Big Revue (the Gumm trio sang That’s the Good Ol’ Sunny South). Several musical shorts followed, notably A Holiday in Storyland (1930—featuring Judy’s first onscreen solo, Blue Butterfly) and La Fiesta de Santa Barbara (1935). Judy signed a contract with Metro-Goldwyn-Mayer in 1935 on the strength of a performance of Zing! Went the Strings of My Heart and Eli, Eli for MGM’s Louis B. Mayer. The studio got a bundle of talent with the acquisition of Garland but was often perplexed about what to do with her. At thirteen, she was older than the usual child star, but was too young for adult roles. (Mayer, charming as he was, also fretted that Judy was not as glamorous as the rest of MGM’s female stars, reportedly calling her his “little hunchback.”) After being loaned to 20th Century-Fox for 1936’s Pigskin Parade, her first role for MGM would be in a 1936 musical short, Every Sunday, which also featured a performer that would make a name for herself as Universal’s resident child talent: Deanna Durbin. Garland’s first MGM feature film appearance would be a memorable one, performing You Made Me Love You to a photograph of the studio’s “king,” Clark Gable, in Broadway Melody of 1938 (1937). 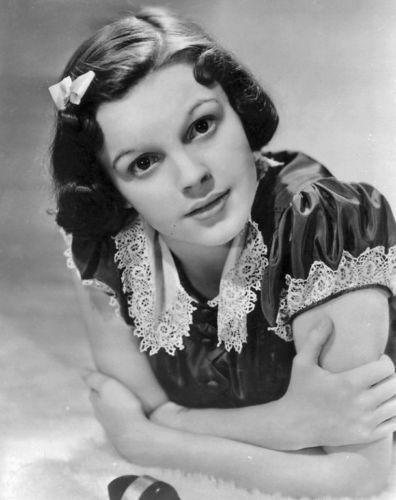 From there, Judy landed roles in efforts like Everybody Sing (1938) and Listen, Darling (1938). Me and My Gal (1942) was the first of six films Judy Garland appeared in with MGM’s resident dance dynamo, Gene Kelly (among their memorable team-ups are The Pirate  and Summer Stock ). Judy’s other 40s hits include Presenting Lily Mars (1943) and The Harvey Girls (1946—featuring the Oscar-winning song On the Atchison, Topeka, and the Santa Fe). 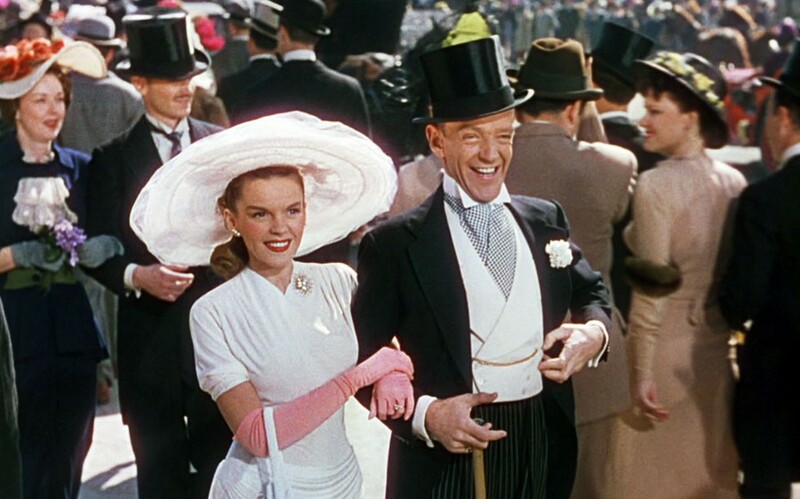 However, her best-known film from that period is inarguably Meet Me in St. Louis (1944), which was directed by her soon-to-be husband Vincente Minnelli. A heartwarming tale of a family whose lives are turned upside down when the father gets news he’s being relocated to New York City. St. Louis introduced three Garland song standards: The Trolley Song, The Boy Next Door, and the Yuletide classic Have Yourself a Little Merry Christmas. 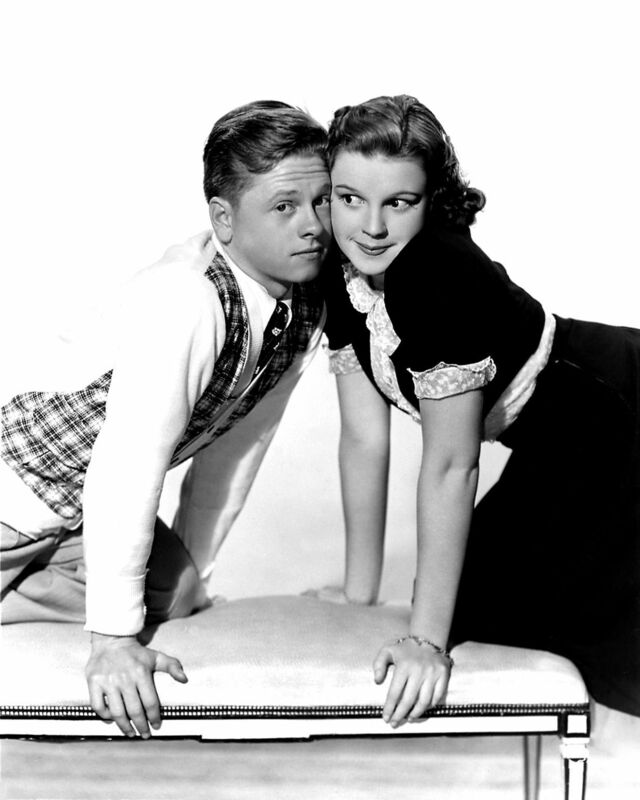 Judy and Vincente would tie the knot after St. Louis was completed, and though the union came to an end in 1951, the couple worked on several additional films together, including Garland’s first straight dramatic film The Clock in 1945. As magical as Judy Garland’s life onscreen and before the radio microphones seemed, her personal life was occasionally fraught with turmoil. 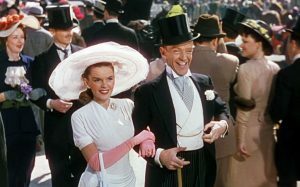 Though her movie successes included at this time Easter Parade (1948; with Fred Astaire) and In the Good Old Summertime (1949), Judy would end up being replaced on three feature films: The Barkleys of Broadway (1949), Annie Get Your Gun (1950), and Royal Wedding (1951). She left MGM in 1951 and embarked on a series of concert bookings in the United Kingdom, with her appearance at Manhattan’s famed Palace Theatre in October of that year hailed as “one of the greatest personal triumphs in show business history.” Her stage work was singled out for a special Tony Award, and in 1954 Judy began work on her “comeback” film, A Star is Born. 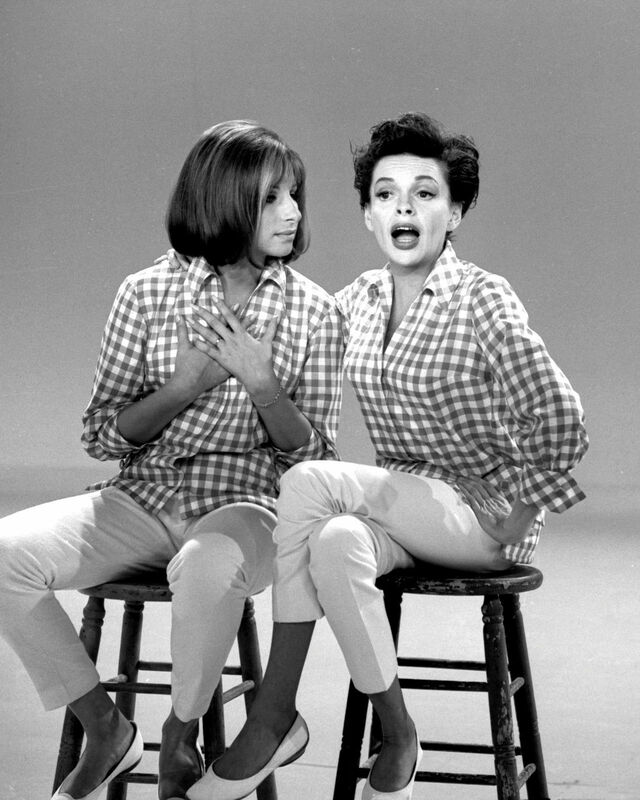 The Judy Garland Show was adored by critics and would win four Emmy Award nominations (including Best Variety Series), but it had the misfortune of being scheduled up against NBC’s Top Ten favorite Bonanza on Sunday nights. It was cancelled after 26 telecasts. Judy’s continued concert successes—her April 23, 1961 Carnegie Hall appearance spawned the Grammy-winning double LP Judy at Carnegie Hall, which even today remains a best seller—kept her in the public eye. She even made the occasional feature film appearance in Judgment at Nuremberg (1961—a powerful performance that would win her last Oscar nomination for Best Supporting Actress), Gay Purr-ee (1962—an animated feature where she provided the singing and speaking voice of the movie’s feline hero), and A Child is Waiting (1963). Judy’s final feature film was 1963’s I Could Go on Singing; she had been scheduled to play a role in Valley of the Dolls (1967), but this would go the way of previous unfinished projects. 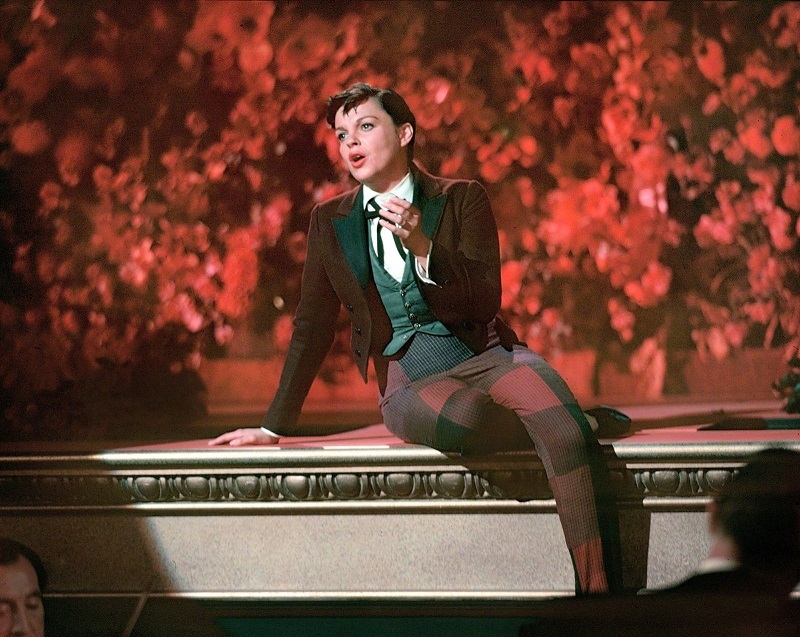 Judy Garland left this world far too soon at the age of 47 on June 22, 1969. Judy Garland, in later years, was a much-in-demand guest on the talk show circuit, where she demonstrated that, despite her struggles with offstage demons, she was the true embodiment of the word “entertainer.” Here at Radio Spirits, Ms. Garland is one of several stars showcased on the 4-DVD collection Hollywood’s Greatest Screen Legends…but your best bet for Maximum Garland is a purchase of the 3-CD George Gershwin Collection; Judy and Mickey Rooney’s title duet from Strike Up the Band is included, as is a hit duet with Bing Crosby (Mine) and three tunes from Girl Crazy: Embraceable You, Bidin’ My Time, and the standard I Got Rhythm (another duet with the Mick). You Ain’t Heard Nothin’ Yet! 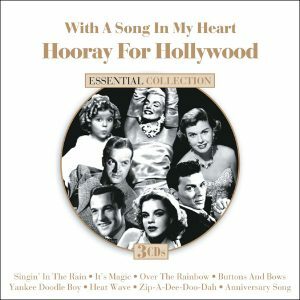 Showstoppers features four Judy favorites—Over the Rainbow, The Trolley Song, The Man That Got Away, and her title duet with Gene Kelly from 1942’s Me and My Gal (For Me and My Gal is also available on Their Shining Hour – The Road to Victory). Judy duets with Gene on When You Wore a Tulip and solos on Zing! Went the Strings of My Heart (her audition song!) on You Make Me Feel So Young, and two of her favorites, The Boy Next Door and Dear Mr. Gable, are front and center on With a Song in My Heart: Hooray for Hollywood. Finally…it’s not too early to stock up on Christmas gifts: Legends: The Christmas Collection offers Judy Garland’s immortal rendition of Have Yourself a Merry Little Christmas. Happy birthday, Judy! « Happy Birthday, William Boyd!